Two of the top online marketing strategies for online businesses are referral marketing and email marketing. Both of these marketing strategies are easy to implement and very cheap. Referral marketing is affordable because you can use your customers to refer your business. You can offer your customers a discount, coupon, or even reward them commissions for every customer they send to your business. Email marketing is great because you can lead your subscribers down your email sales funnel. Email allows you to identify your best customers and you can target these customers and sell to them. Additionally, email allows you to target and get repeat customers. When you combine both of these marketing strategies, you are guaranteed to maximize your sales and boost conversions. In this article, we will show you how to use the power of referral marketing and email marketing to increase your sales. 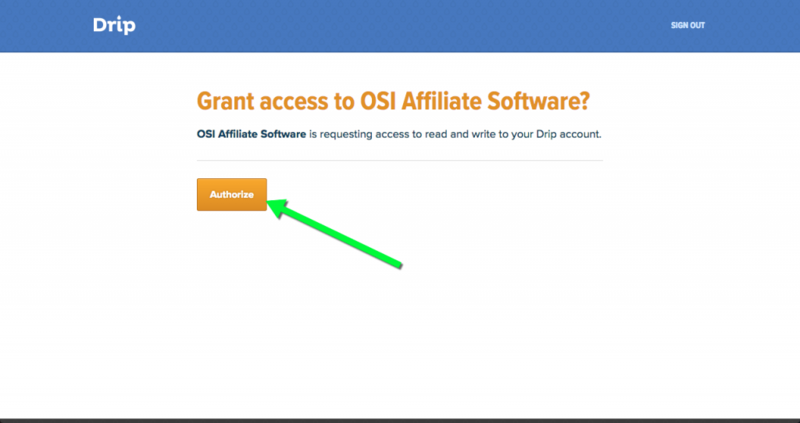 The tools we will be using are Drip and Omnistar Affiliate Software. Omnistar is technology for word of mouth marketing. Our platform helps eCommerce businesses and startups easily create a referral marketing program. You can watch this video to see how Omnistar can grow your business. Drip is the best marketing automation platform. You can use drip to capture email addresses and automate these customers in your funnels and email marketing campaigns. Drip will help you discover your best customers and make communicating with them easy and simple. Watch this video to see how Drip with change your email marketing. To integrate Drip and Omnistar please follow the below instructions. First, click on Settings in Omnistar. Next, click on the Third Party Integration button. Next, click on the Drip integration button. Next, click on the button to connect Omnistar to Drip. 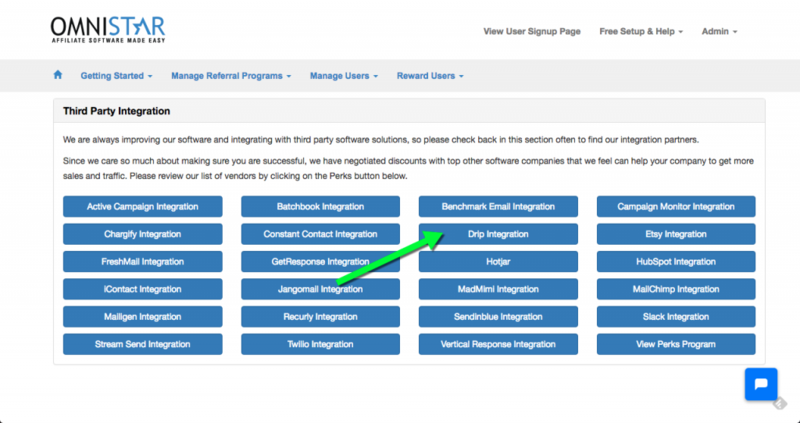 When you click on this button, it will redirect you to Drip where you can authorize the integration. Click the button to authorize. Omnistar is now integrated with Drip. 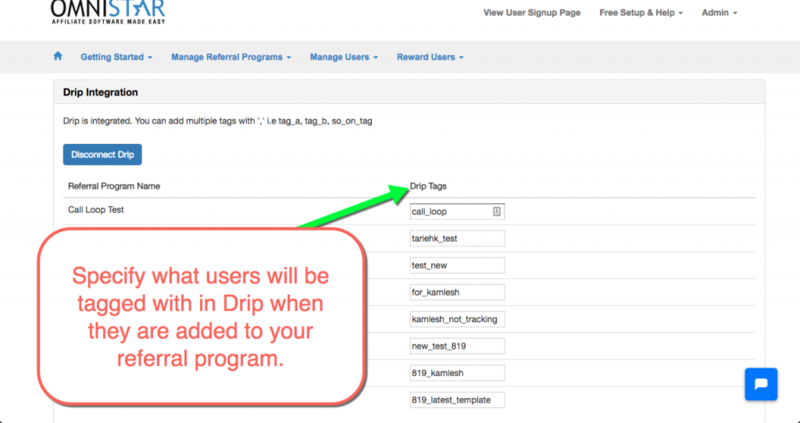 You will now specify what to tag users with when they are added to Drip from Omnistar. Once you have integrated Drip and Omnistar, it is time to use their powerful features to grow your business. The integration between Omnistar and Drip will make it easy for you to add customers who are promoting your business from Omnistar into Drip. When these customers are added to drip you can easy communicate with them. In Drip, you can create an automation that will make it easy for these customers to promote your business. When using Drip to ask these customers to help promote your business, here are some things you need to keep in mind. Drip will make it easy for you to discover your most engaged subscribers. 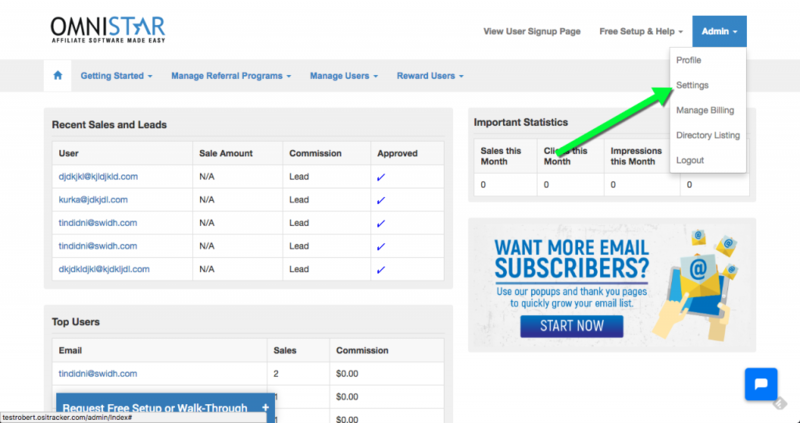 These are the subscribers you want to target and have them promote your business. Congratulations! You’ve officially joined [Company]’s referral program. Please share your unique link with friends. For every new customer you refer, you’ll earn [reward]. We know that by using referral marketing and email automation you can scale your business. 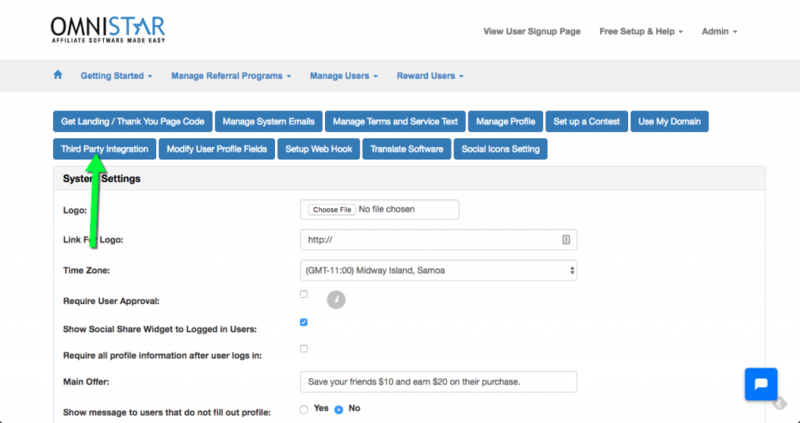 Omnistar and Drip will make it easy for you to grow your business with referral marketing and email automation. We hope that you will use this guide to automate your email and referral marketing. We would love to hear your thoughts about this integration and the many uses you have adopted in the comments below. 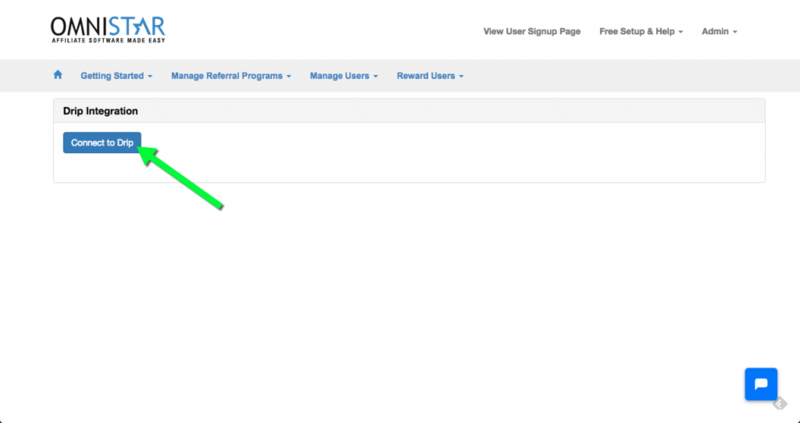 5 Response to "How to Maximize Sales by Automating Your Referral and Email Marketing Using Drip and Omnistar"
With the integration of Drip and Omnistar it really makes it easy for me to communicate with all my affiliates. During certain periods I bump up the commission amounts to motivate the affiliates, so it would be good to be able to alert them via email. The ability to increase the engagement that I have with my affiliates using my drip email campaigns allows me to weed out those affiliates that are not active and not doing much. There are many email solutions out there, however I consider Drip to be one of the easiest to set up, so it was an extra bonus to find out that Omnistar is now compatible. What i think about email marketing is to do manually one by one email to the necessary users who are looking for your services, instead of using the tools for email marketing, but the creative template is necessary without use of spammy word in the Email. My email efforts were validated when I heard from a marketing expert that an email list is his most important asset.